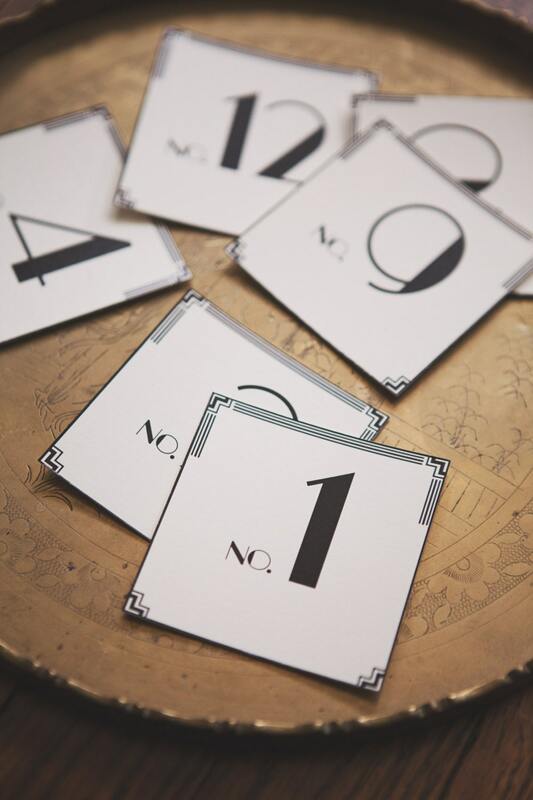 This Set of 12 Art Deco Table Number Cards would dress up any wedding, event or party table. This set of cards is numbered (1-12) on the front of the card. *Numbers (13-24) sold in another set. They were absolutely perfect for our deco wedding. Thank you!